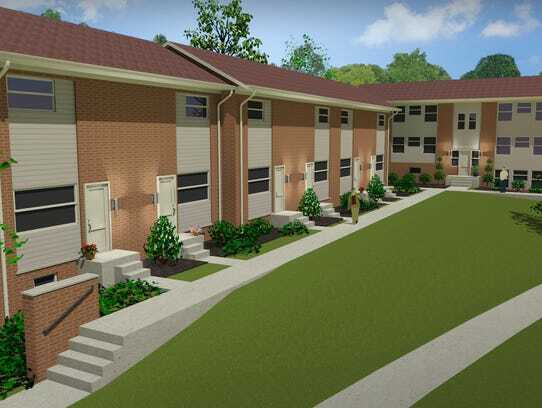 A project to redevelop the former Shelborne Park Apartments on Battle Creek’s north side is underway and is expected to be completed this year to accommodate fall students at Kellogg Community College. Annex Student Living, an Indianapolis-based developer, launched the project called Annex of Battle Creek this month at 109 Springview Drive, across North Avenue from the KCC campus. Margaret Osborn, who handles the company’s marketing efforts, said this week the company has about a $6 million budget with plans to prepare the 64-unit property for occupancy this fall. Annex Student Living already has begun the marketing process aimed at KCC students. The company has five floor plans listed for the redevelopment project with monthly rent tentatively priced from $460 to $770. There are floor plans available for one-, two- and three-bedroom apartments at the complex. The college is not planning a formal partnership with the complex, he said. However, KCC President Mark O’Connell will address the Annex project during his president’s report at Wednesday’s KCC board meeting. “While we do not have a formal affiliation with the Annex, they have placed ads in our school paper and will host information tables on campus this spring,” according to O’Connell’s report in this week’s meeting agenda. Osborn said the redevelopment will be an 100 percent renovation where “no surface will be left untouched.” This echoes Martinson’s comments from last year when he said the property is “a complete mess” with leftover clothes, mattresses, food and decaying drywall — as well as a number of squatters. The Shelborne Park complex was built in 1966 and remodeled in 1997, according to city records. Its last known manager was KMG Prestige. The complex’s former ownership group, Shelborne Park Limited Dividend Housing Association, said it had financial troubles and closed the property in March 2014, serving notices to vacate to all remaining residents. Before Annex acquired the property, much of it had fallen into disrepair with broken windows, damaged roofs and siding and overgrown trees and brush sagging onto several of its buildings. More information about the development is available at Annex’s recently launched website, annexofbattlecreek.com, or on the company’s local Facebook page.